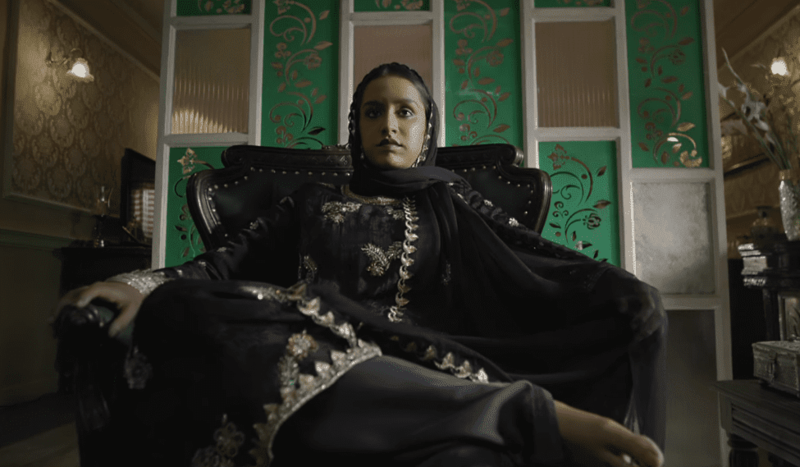 We all know that Shraddha Kapoor starrer 'Haseena: The Queen of Mumbai' is one of the most awaited films of 2017 and by its first look and teaser we can safely that Shraddha Kapoor is looking million bucks in the movie. Her ferocious and intriguing looks are doing rounds on the internet and making her fans go crazy. Directed by Apoorva Lakhia the film is scheduled to release on August 18. A crime drama thriller 'Haseena: The Queen of Mumbai' might as well, apart from being a brilliant cinematic experience, be a controversial subject to deal with considering the undeniable eponymous character of Haseena Parkar- sister of Dawood Ibrahim, India’s most wanted gangster. The first look of the poster had a caption that stated Haseena Parkar had 88 cases registered against her but she appeared in court only once. Clearly it’s all mysterious and arouses a sense of awe in the minds of Bollywood buffs and cinephiles. She was born in the Ratnagiri district of Maharashtra state in the year 1959 and died on July 06, 2014 at Habib hospital, Mumbai due to heart attack. She rose to fame in the gangster world when her husband was killed by the Arun Gawli gang aka B.R.A gang. It is to be noted here that Arjun Rampal will play Arun Gawli in his upcoming movie 'Daddy'. Interesting, isn’t it? Many members of the Arun Gawli gang were killed in a shootout at J.J. Hospital by Dawood Ibrahim’s gang in revenge of murdering Haseena Parkar’s husband. How many of you have seen Anurag Kashyap’s 'Black Friday'? Do you remember the scene when Dawood gets a parcel from Mumbai that contains broken bangles of her sister? There was a written message along with it that said- “Ek bhai ke liye jo apni behen ki hifazat nhi kar ska (For the brother who couldn’t protect her sister)”. Was that Haseena Parkar’s bangles after her husband was killed? While Dawood was in Mumbai (Bombay then) itself, she would do extortion for him and her means mainly included kidnapping and murder. No wonder 88 cases had been registered against her! Through extortion and murder, she would later become owner of various properties in Mumbai worth more than 5000 crore rupees. She was actively involved in many hawala rackets at the end of which she used to send illegal money from India to gulf countries and the Middle East. An interesting bit is that she used to live in a house in Nagpada area of Mumbai and the local police station used to be just across the street! In the underworld, her stature was such that gangsters used to call her- Haseena Aapa and Lady Don. Well, that’s Haseena Parkar for you, the lady gangster who along with her brother Dawood Ibrahim changed the face of Bombay in the 90s. It would be interesting to see how Shraddha Kapoor pulls off this intriguing role and mesmerizes all her fans.